Geographic specific to Southern Indianapolis Area and Northern Johnson County. We live, eat, give back to the community, go to church and stay in our own backyard. We know the Southside because we never leave it! 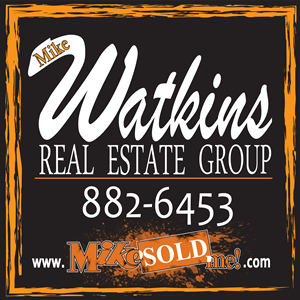 The Mike Watkins Real Estate Group was founded in September 1995. After many years with a traditional real estate company, Mike opened his own practice in Greenwood, Indiana. His dream was to have a Team Concept with a few professionals working together…not in competition with one another. He also wanted to add one special ingredient…Fun! It is true that over the years the Team has changed and evolved, but the one thing that Mike didn’t plan on happening was that his 2 sons, Pat and Chris, would want to be in the business with him. Pat and Chris have continued to be one of the most successful real estate teams in the United States. Over the past 15 years Mike and his team have been consistently ranked as one of the top 10 real estate agents/teams in the Metropolitan Indianapolis area by the Indianapolis Business Journal. Due to its success, many other real estate firms have both emulated his Team Concept and shadowed his team in action to learn how it works. The team concept, work ethic, and a combined 94 years of experience, has continued to enable Mike and his team to stay successful regardless of the economic conditions. Much of that success comes from being geographic specific, meaning that they live, give back and work only on the Southside of Indianapolis and northern Johnson County. With the Team concept and selling homes in their own backyard, this has enabled them to help thousands of people buy, build or sell a home with the fewest possible hassles. Choose The Mike Watkins Real Estate Group To Sell Your Home Fast…and For The Most Money! It doesn’t matter whether it’s a “Buyer’s Market” or a “Seller’s Market”… There is always a fierce competition among the houses on the market for those “Qualified Buyers” who are out looking. Our pro-active Marketing Program and proven Team Effort will get your home SOLD! with buyers and may have one for your home before it even hits the market! Comprehensive Internet Strategy… Since most home buyers today start their searches by logging on to the Internet, we’ve developed an effective family of websites designed to get your home the most exposure possible. Your home will be presented on our sites in a manner designed to create the highest buyer traffic and appeal! Direct Response Property Brochure Box… Turns drive-by traffic into buying prospects! These really work well! Centralized Showing Service… Our showing appointment service makes it easy for Realtors to schedule showings and provide you with feedback via email from the showing Realtors! Direct Phone Line into the Mike Watkins Real Estate Group Office… Interested buyers can actually talk to a “real” person who knows your home! Direct Phone Line into the Mike Watkins Real Estate Group Office… Interested buyers can actually talk to a “real” person who knows your home! Total Team Effort… Our team of Listing Specialists, Buyer Specialists, Closing Specialists, Marketing Specialists and Administrative Managers work together to get results and ensure that you get the very best in Real Estate service! Pro-Active… Our back office captures hundreds of buyer leads that we are cultivating to become our next set of “A” buyers. Who knows…your buyer may already be in this system! Community Involvement…When the community we serve is kind enough to support us, we feel it is our duty to give back. The Mike Watkins Real Estate Group has supported the high schools in our area, local non-profits, kid’s sporting leagues and many other charitable donations for a worthy cause. 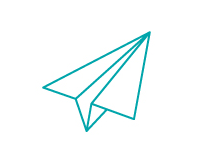 We just think giving back is the right thing to do.